The TenMarks Team launched a 30 day trial of TenMarks Math Premium to make it possible for teachers to experience our comprehensive math curriculum that provides lessons, assignments, assessments, easy differentiation, and real-time interventions. When entering the trial, a teacher with a free account will be prompted to select one class to upgrade for 30 days. Read Ashley Alicea’s blog post for details on her first-hand experience with the premium trial. 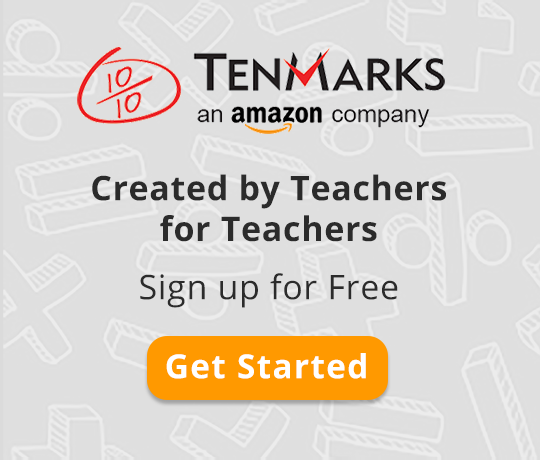 To maximize the experience during the trial, we recommend that teachers and students first become familiar with the free version of TenMarks Math, in particular TenMarks Math assignments. We know your time is valuable and taking advantage of additional features should come when the class is comfortable doing the basics. How to master the basics? Teachers set up their class and create assignments. Students become confident completing assignments and using the embedded supports like hints and videos. This way students will feel comfortable taking on new challenges during the Premium trial including standard and grade-level assessments, real-time interventions known as Amplifiers, and personal work. Here are 4 recommendations from fellow teachers to help students become comfortable with TenMarks Math. Teachers can log in to a student demo account and model how to click through questions, view hints and videos for support, and submit the answer. By assigning concepts that require less effort, students can focus on becoming comfortable with the new interface rather than being distracted by challenging content. Students can practice core skills in Jam Sessions, the fluency component of TenMarks Math, and see their mastery awarded with badges. By creating a small collection of assignments, students can work at their own pace and take ownership of their learning by choosing which topics to work on when. We hope you and your students enjoy the 30 day trial of TenMarks Math Premium.